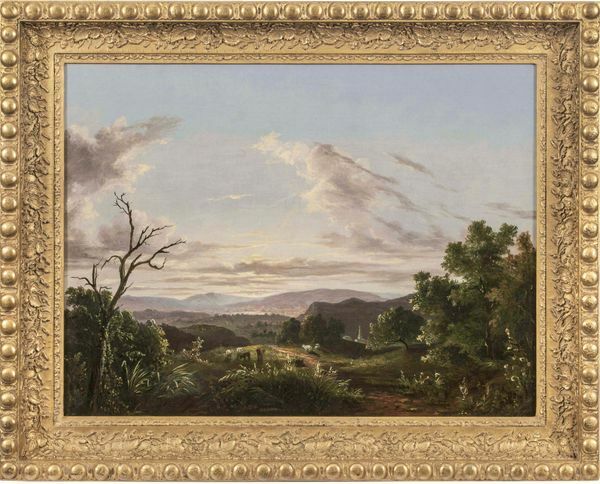 Though her level of artistic training is unclear, Oakes’ View of the Connecticut River Valley implies the deep influence of her Hudson River School predecessors and contemporaries. Using deceptively simple compositional devices, the scene allows for a variety of depth and visual diversity, with the foreground characterized by extreme detail and the furthest reaches articulated in atmospheric effects. 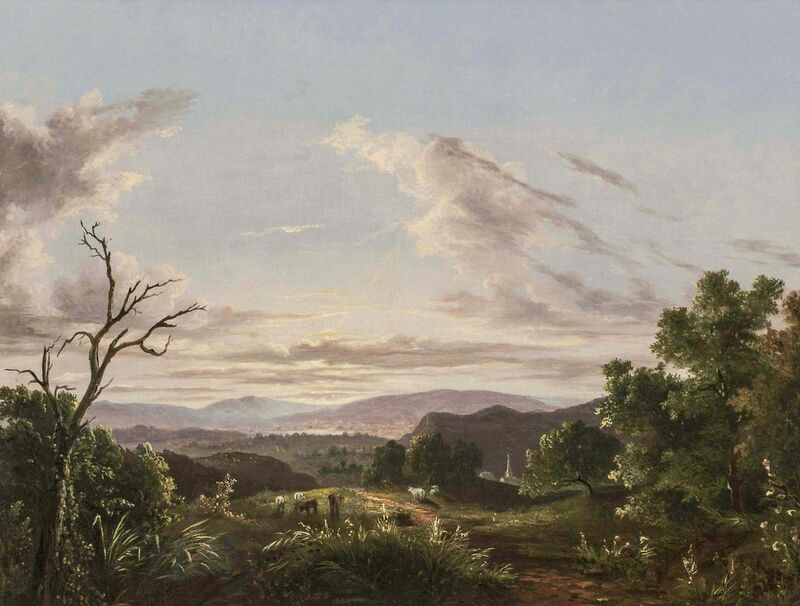 In the foreground a small group of grazing cattle are flanked by lush vegetation, and mountain peaks break through in the distance to command and direct the viewer’s eye over the hint of a city along a winding river bank. Though her works are rare, Oakes’ skill is wholly condensed, making her paintings weighty in their representation of her skill with the brush.